Montessori learning equipment supplies and imaginative, inspiring and creative educational toys. 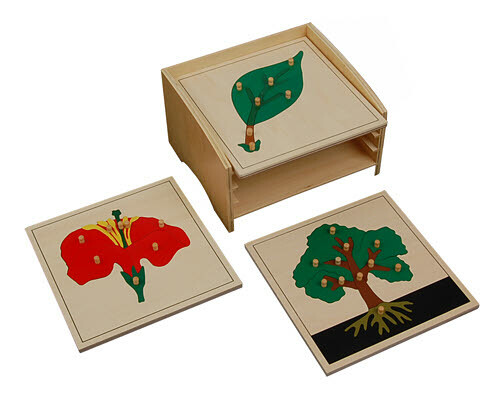 These timber botany puzzles allow children to identify and explore the parts of plants. The knobs allow the child to easily pick up each piece and this helps in the development of finger muscles which will later be used for fine motor work such as holding a pencil. Through their piece selections, children are engaging pattern recognition, spatial awareness and sequencing.